There are a variety of benefits of green tea, which we might not know. These users start from the eye relief to liver cleansing. It’s kind of interesting, as its use seems never-ending. The two greatest qualities of green tea are its Anti-oxidating and Anti-aging properties. Need not mention, green tea is one of the famous drinks amongst the health conscious. Taking green tea regularly can lower the risk of heart disease as well as cancer. So, here we give you 12 uses of green tea, which will both surprise and please you. Green tea has Anti-inflammatory properties which can help with redness and irritation. Steep some green tea bags in boiling water. Allow the water to cool down and take a washed cloth. Dip the cloth into water, rinse the excess amount of water and pat it on the affected area. Allow the tea bags to cool down after you have finished drinking. Take the bags and pat it on the area below the eye. Green tea contains tannins, which can shrink living tissues such as the human skin. Therefore, green tea can reduce the swelling by tightening the skin. Regular intake of a cup of green tea can significantly increase the health of your teeth. A study shows that the people who take green tea regularly at the age of 40 to 65 are less likely to lose their teeth. An individual antimicrobial molecule called Catechins present in the green tea is responsible for this. So next time make sure that you grab a cup of green tea every morning. 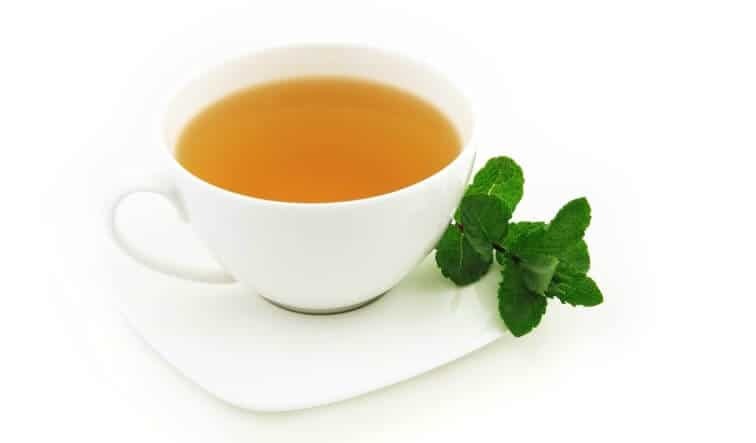 Recent studies show that the Catechins present in green tea can help in reducing weight as well as maintain weight after a considerable amount of weight loss. This is good news if you are having issues with your weight. The powerful antioxidant present in green tea can help in reducing the damage because of Sunburn. When green tea is applied to the skin, it helps in protecting from sunburn and skin cancer. Drinking a cup of green tea before the sun exposure can also assist in reducing any possible damage. The tannins present in green tea can coagulate the blood, thus reducing the bleeding. Steep green tea bag in boiling water, keep it for 1 minute then take it out. Let it cool. Now place the tea bag on the affected area. You can also use green tea extract for the same purpose. Is the odor of your fridge intolerable? No need to hit the panic button. Just place some amount of green tea leaves in a bag in your fridge. The leaves will absorb the bad odor and make your fridge odorless. Just like green tea can absorb odor, it can also absorb humidity. Just hang a bag of green tea in the room or place which absorbs a lot of moisture. The leaves will absorb the moisture and will help to keep the room pleasantly dry. The powerful anti-oxidant present in the green tea can prevent the activation of collagen-digesting enzymes, the enzymes which cause wrinkling of the skin. The inflammatory property of green tea can help in reducing wrinkles and fine lines on the skin. Regular use of cream made from green tea can help you get rid of wrinkles and premature aging. Even if we remain health conscious, our lifestyle and toxic environment still make us prone towards liver diseases. The liver processes everything that we absorb or digest. Taking green tea regularly can help in keeping the liver healthy. The antioxidant present in green tea helps in keeping your liver away from any disease. Because of the antioxidant, anti-fungal, antibacterial and anti-inflammatory properties, Green Tea can also be used for acne treatment. Just rub some green tea leaves on your face and body then rinse properly. An Amine present in Amino acid called Theanine is known for its tranquilizing property. Regular intake of green tea can keep you away from stress.